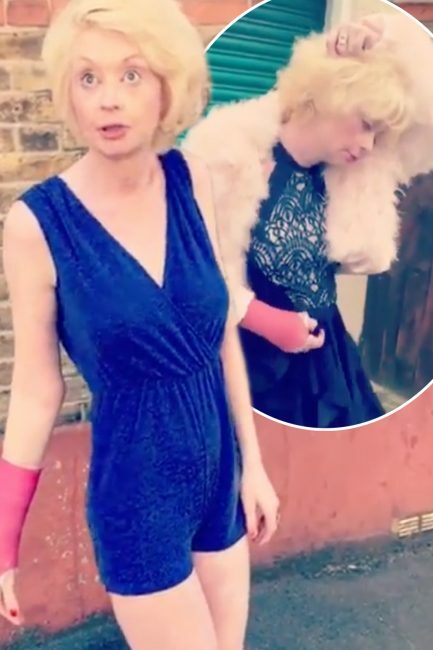 Lauren Harries no doubt left neighbours startled as she branded herself a “s**g” after walking home from a date. The 41 year old, who has recently become a social media sensation, took to Instagram on Monday morning after a weekend of partying. Claiming she had returned from a date, she mocked EastEnders legend Kat Slater as she trotted around her neighbourhood.